With the latest iteration of Office, Microsoft pledges to bring the documents and services you need to run a business to any screen you choose, from a PC to a touch-enabled Windows Surface tablet or Windows 8 Phone. 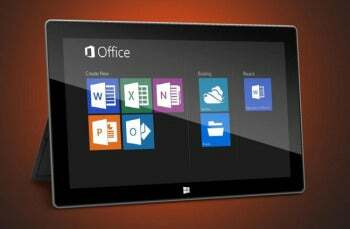 After using the Office 2013 preview suite on a Windows 8 tablet, we are impressed by many of the steps Microsoft has taken to make its Office franchise touchscreen ready and cloud friendly. If you're searching for the ultimate mobile-savvy office suite for a tablet, look no further. Compititors available on other platforms, such as DataViz's Docs to Go or Quickoffice and services, including CloudOn, Nivio, Online Desktop and InstallFree Nexus, which deliver virtualized, full-blown versions of Office apps, lack the unified soup-to-nuts office document, collaboration, and editing functionality that Office 2013 delivers. But you’ll probably have to pay dearly for the no-compromise experience of Office 2013 or Office 365 (the subscription-based software-as-a-service alternative that combines desktop installations with cloud-based access on remote devices). Microsoft hasn't disclosed pricing yet, but it's difficult to imagine a scenario where the subscription fees in the course of a year or two would undercut what they'd charge for a conventional one-time desktop installation. Also, we don’t yet know what mobile devices either Office 2013 or Office 365 will support. When asked, Office spokespeople have indicated that some form of Office Mobile (currently available only for Windows Phone) will be forthcoming for Android and iOS devices. But it's highly unlikely we'll see a full-blown version of Office running on the Apple and Google mobile operating systems. We also have yet to see whether, as Microsoft CEO Steve Ballmer promised, Office 2013 will run as smoothly on an ARM-based tablet running Windows 8 RT (the version of Windows 8 for tablets that aren’t based on x64 or x86 CPUs) as it did on the tablet PC used to show off the suite's new features at Monday's official unveiling of the public beta. The touch optimization was admittedly impressive, but we were witnessing a best-case scenario: Samsung's touch-enabled tablet PC running Office on the desktop version of Windows 8. 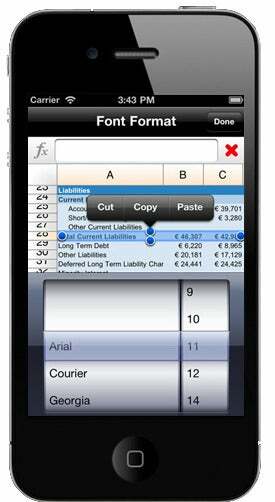 For these reasons, affordable if limited mobile productivity suites such as Quickoffice and Docs to Go (both $15 for Android devices and $20 for the iOS version), single-purpose apps such as Apple’s Pages word processor for the iPad ($10), and virtualized cloud services such as Nivio ($15 monthly) remain viable rivals. Here is a look at how the Office 2013 and Office 365 preview releases measure up the competition. Locally installed apps such as DataViz's Documents to Go and Quickoffice have one key advantage over cloud-based alternatives: You don't need to be online to use them. (We don't know whether Microsoft's expected Android and iOS Office products will run offline.) These suites both offer Word, Excel, and PowerPoint support; QuickOffice also lets you save files as PDFs, and read PDF files. Connectivity issues aside, these mobile productivity apps also run nicely on smartphones since they've been highly optimized for tiny screens. The touch-optimized, gesture-enabled ribbon interface of Office apps, both on desktops and online, wouldn't cut it on an iPhone or Droid. Both Docs to Go and Quickoffice rely heavily on icons that produce pop-up or drop-down menus. Admittedly, the editing options are minimal: In Quickword, for example, you can apply font changes or options such as bolding or italics; format paragraphs, find and replace text, get a word count or print to an AirPrint-enabled printer on an iPad. You can also save your document as a PDF or undo up to a dozen or so edits. Docs to Go lacks printing and PDF support, but otherwise generally offers the same document creation features. Neither app supports spell checking, a limitation that generates a fair amount of grumbling in user forums, much less the fancier features that you get with Office, such as support for tables or image editing, or templates for a range of letters, faxes, pamphlets, and other business documents. Document fidelity with these apps has greatly improved over the years, but still isn't perfect. On one of my test Excel spreadsheets, Quickoffice did not adjust column width to accommodate a lengthier entry, while Docs to Go did. 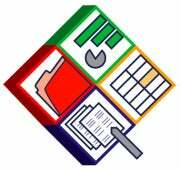 In general, Quickoffice has the better-looking interface--it shows tabs on Excel workbooks with multiple spreadsheets, and its file management system is intuitive and color-coded (Quickword docs in blue, Quicksheet in green, and Quickpoint--the PowerPoint competitor--in orange). Docs to Go puts its file locations and tools at the bottom of the screen in gray. 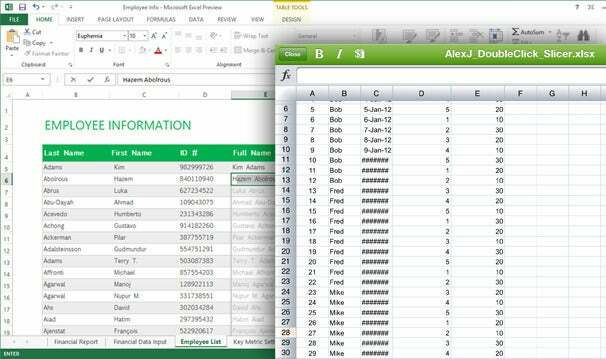 But neither app was able to open a complex Excel file involving macros that transfer data to multiple sheets. As for document portability, both Docs to Go and Quickoffice provide good integration with popular online file storage and management services. Both let you access and save files to Google, Dropbox, Box.net, and SugarSync; Docs to Go additionally supports iDisk, while Quickoffice has support for Evernote, Catch, Huddle, Egnyte and MobileMe. You create these connections in the settings, and thereafter they are easily accessible. Office 365 Web apps automatically save documents to SkyDrive, as do Office desktop apps that are part of an Office 365 subscription. Getting files to your desktop isn't quite as straightforward with mobile productivity suites. Docs to Go provides a desktop app that lets you sync the contents of any folders you choose with the mobile app. This works well as long as you don't choose a huge folder to synchronize; by default, Docs to Go sets up an empty My DocsToGo file for this purpose. Quickoffice has no comparable means of saving to a desktop, but it does offer workarounds. When your mobile device is on the same Wi-Fi network, you can access and upload files using a desktop browser by typing in the URL shown in the app's home screen. You can also mount the device as a network drive (using the same URL). With iOS devices, you can use iTunes to synchronize files. Docs to Go and QuickOffice aren’t the only mobile productivity suites (ThinkFree Mobile for Android comes to mind), but they are the top ones that run on both Android and iOS tablets. Not everyone deals with the range of documents supported in most office suites. If you only care about word processing, for example, Apple’s Pages is an excellent app for the iPad. Apple also offers a spreadsheet app, Numbers, and a presentation app, Keynote, for the iPad. Android tablet owners have access to a large number of stand-alone productivity apps, many of them free. A growing number of tablet users, however, are passing up locally installed apps in favor of the new virtual Office services. With CloudOn, Nivio, and Onlive Desktop, you install an Android or iOS app to which the service basically streams the user interface of full-blown Office apps running in the cloud. At its best, the experience feels no different from working on a desktop program. You don't even need to install an app to have similar functionality from InstallFree's Nexus, which runs in any browser. File management is an issue with some of these services--you want to avoid uploading and downloading documents if at all possible. CloudOn handles this by integrating with some of the same popular file storage services supported by Docs to Go and QuickOffice, including Box.net, DropBox, and Google Drive. Installfree Nexus not only lets you seamlessly save to a variety of storage services, it sees them as network resources when you're creating a document. So, for example, if you want to insert an image stored on, say, Box.net, you can navigate to the site, select and download it without leaving Nexus. Of course, these services don't work at all offline, and require decent broadband to work smoothly online. And the big (mostly unanswered) outstanding question for some of these apps is what they will cost. Almost certainly it will be some sort of subscription fee, since the services must pay Microsoft licensing fees for hosted versions of Office. InstallFree Nexus, for example, says it plans to offer monthly licenses for $20 (or $5 for academic users). People who invest in Microsoft tablets may not need to bother with these services, since they'll be able to run the new and improved Office Web apps for free, even if they don't subscribe to Office. But at this writing, the free Web apps aren't an option for iOS or Android tablets: You can see your SkyDrive documents, but you can't edit them. Should Microsoft decide to open up the free Web apps to mobile browsers on non-Microsoft operating systems, the competitive landscape could change dramatically. At Monday’s Office 2013 and Office 365 launch, a Microsoft representative hinted that an announcement on browser support would be forthcoming in the months to come, so this story is by no means finished.